I mostly don't talk about my job here, but I think I've mentioned that I go to a big computing conference every year. 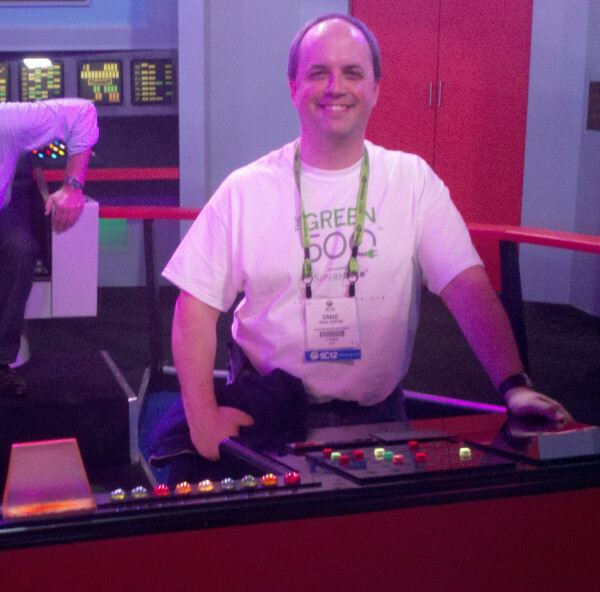 This year the Intel booth had a really great exhbit--they leased (or something) the real live original bridge set from the original Star Trek series. If you went to one of their talks, you could go and hang around the bridge and take pictures and stuff. I'm going to post a couple of the pictures here, to have a record of it. 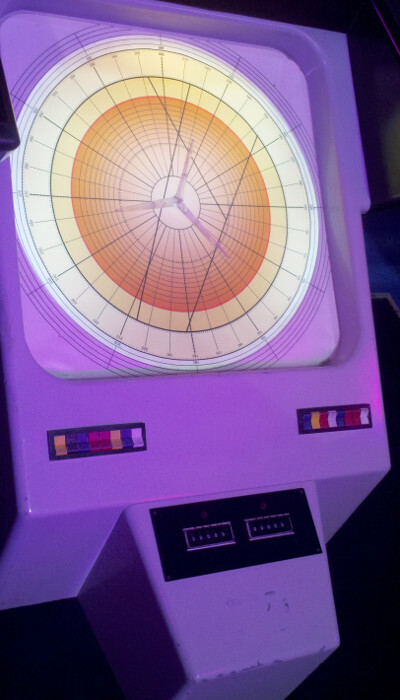 Mr. Sulu's helm station on the bridge. 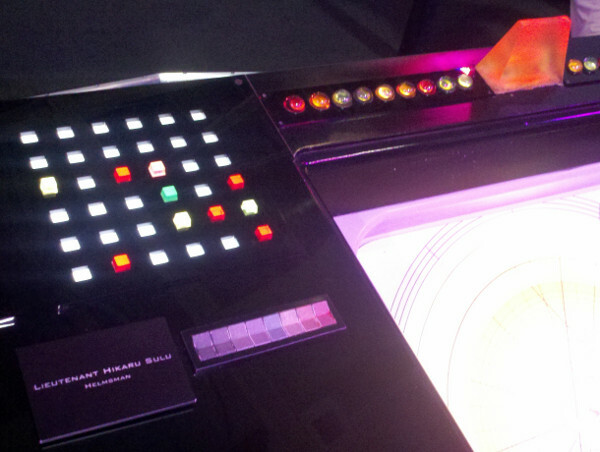 The navigation console on the bridge.